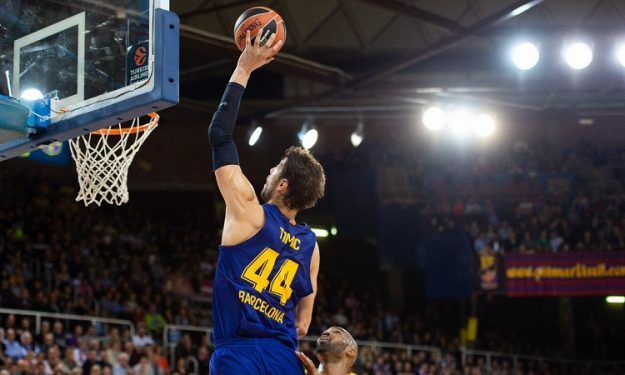 For the seventh time in his career, Ante Tomic became ACB’s MVP of the Round. Ante Tomic led FC Barcelona Lassa to its away win over San Pablo Burgos on Sunday. He scored 23 points and grabbed nine rebounds on his way for an ACB personal-high 37 PIR, which was the highest among all the players of the winning teams of the ACB 2018-19 Regular Season Day 15 and brought him the MVP of the Week title. The 31-year-old Croatian took home the Spanish League’s MVP of the Week honors for the seventh time in his career.